The Wahter recreates the vocal sweep and lush harmonics of the classic wah tone, while remaining small and compact. The smoothness of tone is all thanks to the high-quality electronic components Mooer uses. 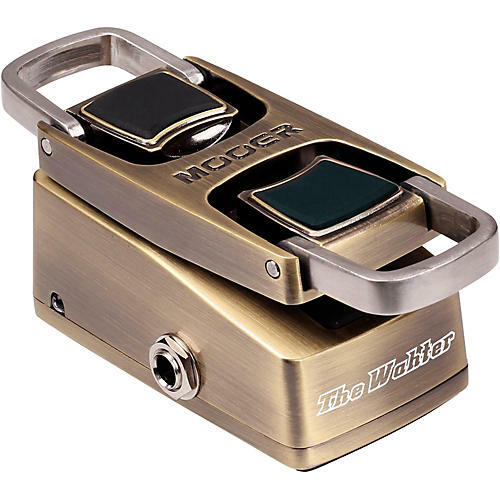 Unlike the traditional way of turning on/off the wah pedal, The Wahter is equipped with four pressure sensors. Simply put your foot on the pedal, and the pressure sensor will sense your touch. An LED light indicates the wah effect is in operation. It's easy-to-use design allows you to focus on the performance. The extendable pedal ring can be pulled out from the pedal, creating a larger contact area between the foot and the pedal. This enhances the feeling and sensitivity of your touch. When it's not in use, the rings can be retracted, bringing The Wahter back to its mini size.